Weiss is an American artist. Her work has been featured exclusively on 1stDibs since 2015, and in 2017 she began residence at Mana Contemporary. Weiss holds a BS in Fashion Design from Syracuse University and has created course curriculum for The Fashion Institute of Technology where she taught for two years. Born in New York City to an entrepreneurial family, Weiss loved crystals immediately and began working with them in her teen years. 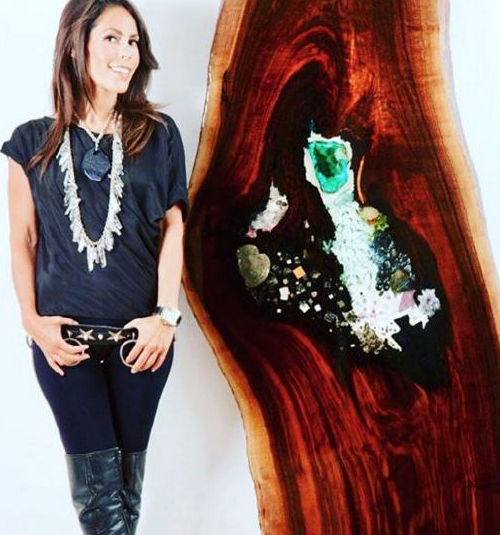 Although Weiss has worked for some of fashion’s most well-known icons as a fashion editor and stylist, it is her lifelong passion for crystals and gemstones that led her to first create jewelry and later functional and sculptural contemporary art with earth elements as her focus.